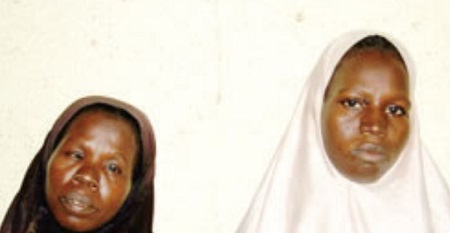 Qamariya Ismail, a 25-year-old woman, and her 45-year-old mother, Hassana Sabi’u, are currently being grilled by police detectives in Katsina, Katsina State in connection with the discovery of the corpse of a day-old baby in a dustbin on Monday. According to Punch Metro, the spokesman for the Katsina Police Command, DSP Gambo Isah, said Ismail, who resides at Sabuwar Kasuwa Quarters in Katsina, had owned up to being the mother of the dead infant. According to Isah, investigation by the police revealed that Ismail was assisted by her mother, Sabi’u, to dump the infant’s corpse in a dustbin. He said, “On July 31, 2017, at about 16:00hrs, a dead female new-born baby was found inside a dustbin at Madugu House along Yahaya Madaki Way, Katsina State. “Investigation was carried out and the abandoned dead baby was traced to one Qamariya Ismail, aged 25, of Sabuwar Kasuwa Quarters, Katsina, whom her neighbours knew had been pregnant. Meanwhile, the police command also arrested a 55-year-old mechanic, Bature Suleiman, for sexually molesting three female pupils in the Malumfashi Local Government area of Katsina State. The police spokesman said Suleiman lured the three primary school pupils into his workshop with N500 and assaulted them by putting his fingers into their private parts. “The victims were noticed by their school teacher spending lavishly during the break period and they confessed to have been given the said N500 by the motor mechanic. “The children stated that the suspect took them into his garage where he played with their private parts. The suspect has been arrested and he confessed to the commission of the crime,” the PPRO said.